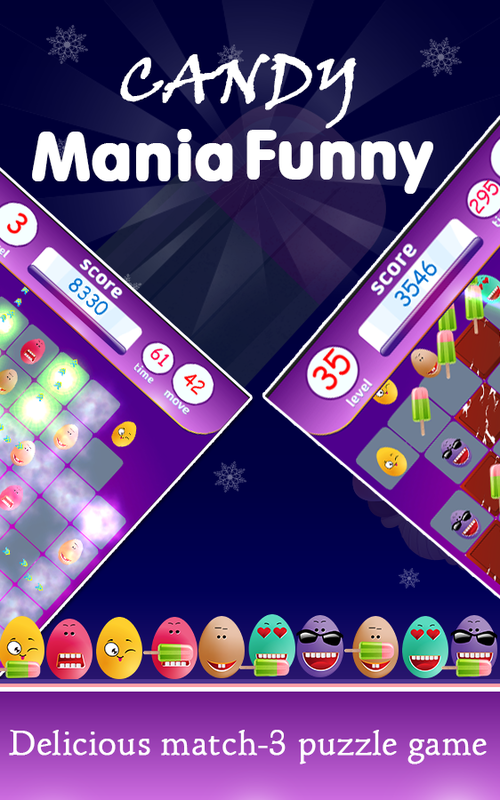 Candy Mania Funny - A fun FREE game, it is a very cool and exciting match-3 puzzle game on Android Market. 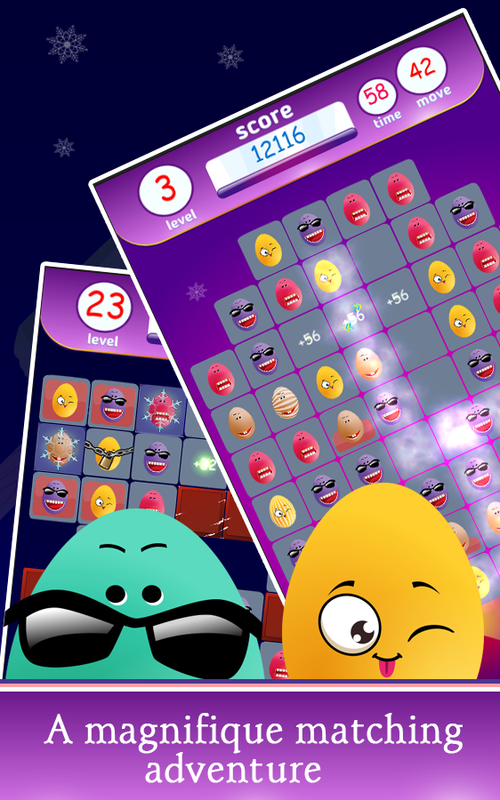 This fun game is a new puzzle game, and it is very different from egg rescue. We joined in the game Many cool flashy animations, I believe this egg game will bring you the candy amazing journey shocking experience, and the whole game Ball scoreboard. If you love to play Candy Mania, I think you also love Candy Mania Funny CANDY MANIA FUNNY FEATURES: - Sweet and shining candies, very delicious! - A lot of interesting levels - Very small size but super tasty graphics - Cool UI and Effects, Lovely eggs more cute than candy star - Magic Bomb and Brush props to help you get more score - New tricky blockades - New special candy level objectives - Change the effects of some boosters - New powerful effects candy crush. - Enjoy last bonus! - Colorful and vivid graphics! 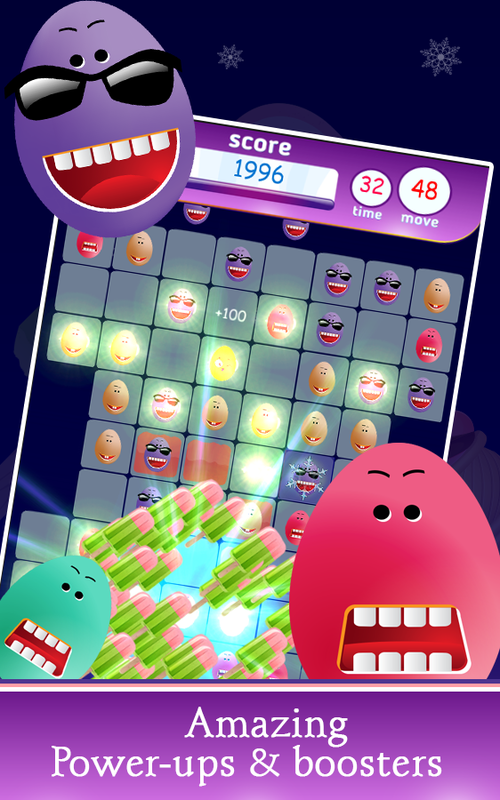 - Smooth graphics and fun candy mania game. 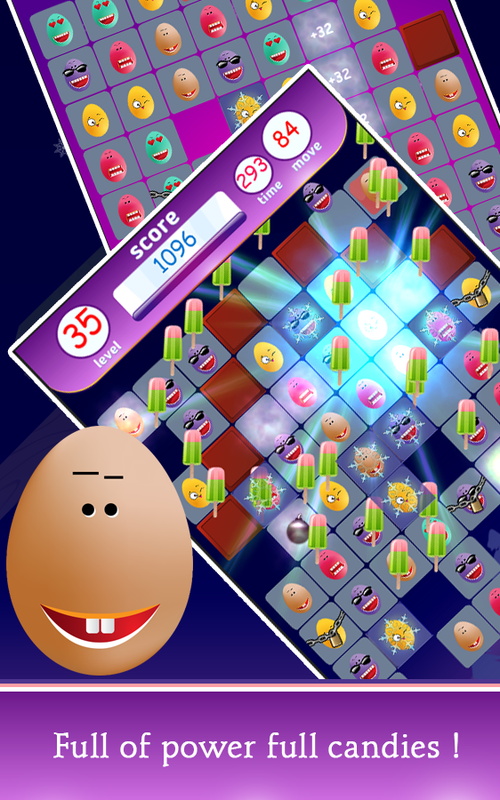 - Scrumptious new candies and sublime new combinations: Match 5 candies in a line to make a Candy Boom in-game items. - The candyed bomb can eliminate the candy mania free game around. 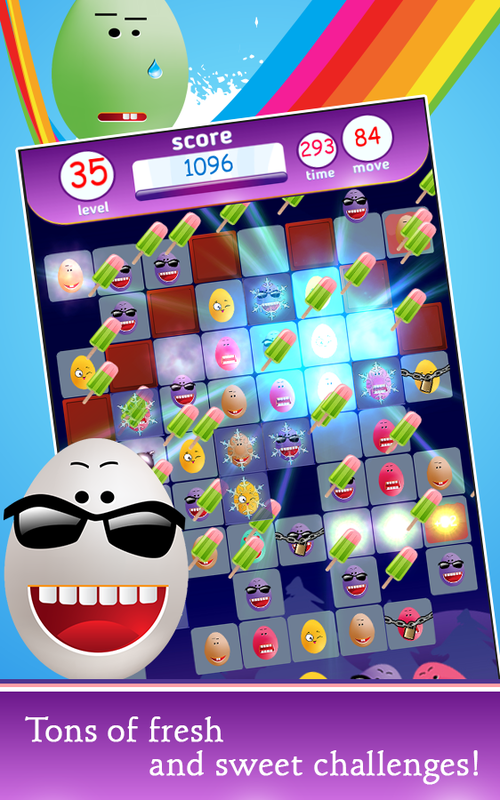 - Sharp and animated visuals bring this candy legend tale to life - Easy and fun to start but a challenge to get finish each level HOW TO PLAY: - Match three or more identical eggs. 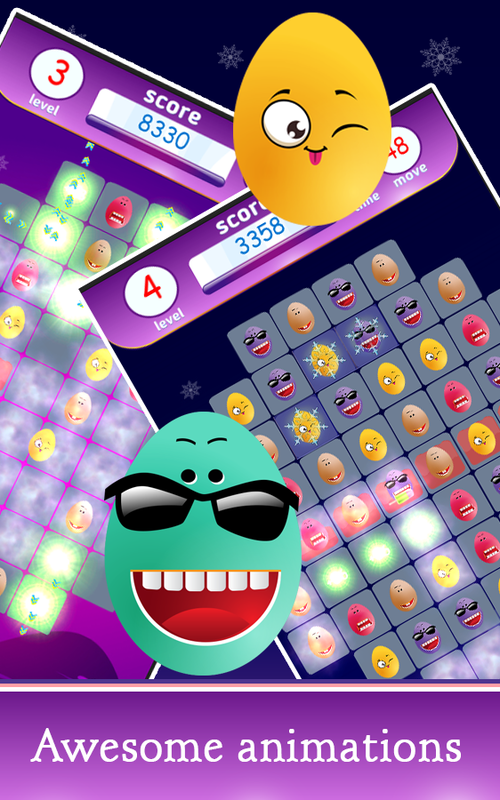 - Match four or more eggs will produce incredible results. - Quick Clear eggs can get extra points. - There is time limit same as jewels mania, each stage has target move to proceed to next stage. - Try to clear all block, you will get a lot of bonus. - With adventure mode, gravity will be random to change direction when candy drop, Solve all the puzzles and try to get three stars in each level! Simplicity of the game, great music and stunning graphics. Relaxed laid-back type of game, to bring you the ultimate jewel blasting experience ... Free join in the sweetest Amazing Candy Worlds! Now, enjoy this sweet and delicious Candy Mania !